Marketing Support: As a franchisee you’ll have access to ongoing support from our experienced marketing and merchandising team. It’s a strong support network providing specialised advice that’s second to none. You’ll also have access to favourable trading terms, an established import program, bulk buying power and exclusive products from leading bedding manufacturers Sealy, Sleepmaker, Beautyrest and Tempur. 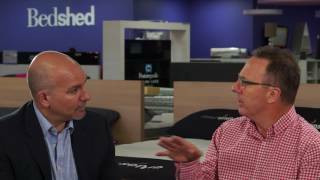 Bedshed is one of Australia’s largest specialist mattress, bedding and bedroom furniture franchises with a network of more than 30 stores across the country. Bedshed has grown steadily since it started in Western Australia in 1980 and now has stores across Queensland, ACT and Victoria and is currently expanding further in to NSW. Bedshed are offering a ‘once of a lifetime’ $250,000 incentive to the first 5 stores opened in Sydney metro. The Sydney region offers significant potential for new franchisees, with no existing competition from other Bedshed stores. One of the benefits of franchising is enjoying the financial and lifestyle benefits of owning a business with the support of an established expert. We work hard with our franchisees to support them through the challenges and rewards of running a business, while giving them the freedom and flexibility to be their own boss. 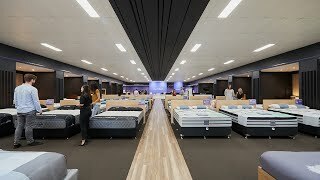 The Bedshed business is built on innovation, from product selection of well-known and exclusive brands, to a unique inventory model which reduces costs for franchisees and tailored design and fitout specific to each store. Independent research shows our franchisees are more financially satisfied than 84 per cent of the franchising sector. If you’re the sort of person who’s excited by something new, franchising could be a smart career move. It offers the right balance between exciting and challenging opportunities, and a steady, safe and secure investment. If you’re prepared to put in the work in the initial stages, you can expect to reap the rewards later and be able to live a flexible and rewarding lifestyle. Our most successful franchisees are exceptional at building trust and loyalty with the people around them, including customers, suppliers and employees.